Dr Brad discusses the flu vs the common cold with 'Those Two Girls' on Hit 105. 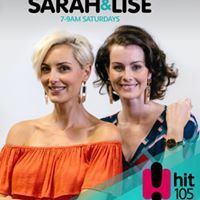 Dr Brad chats with Those Two Girls on their Hit 105 Saturday breakfast show and discusses the differences between influenza, “the flu”, and the common cold. He talks about how you can identify if you have the flu and whether you should be vaccinated.